Mark chapter 4 is a chapter of parables. In the midst of many familiar ones from other gospels is one that is unique to Mark – the seed growing silently. 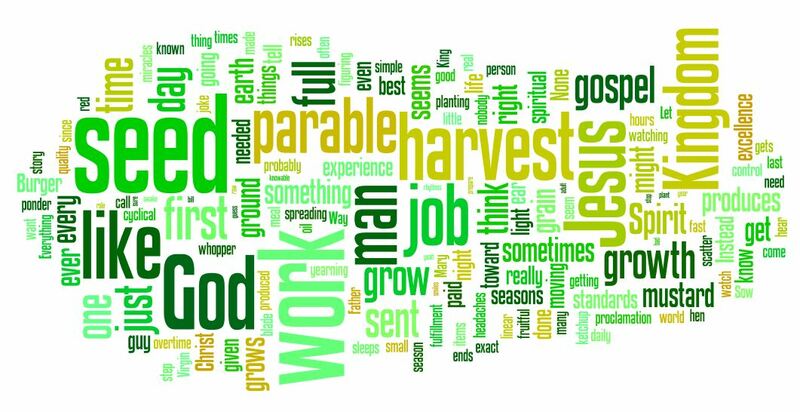 Not that any of the parables are easy, but some, like the parable of the sower and the soils, come with an explanation. Other, like the parable of the mustard seed which is pared with the silent seed in Mark, are more obvious in their intent. And the more obvious, the more likely we’ve heard sermons on them or grasped them ourselves. This sermon focuses on that unique one. In many ways the parables of seeds are all attempts to describe what the seeds planted on good soil experience. Wheat and weeds together sown (Matthew 13:25ff) describes our experience of living in a fallen world. 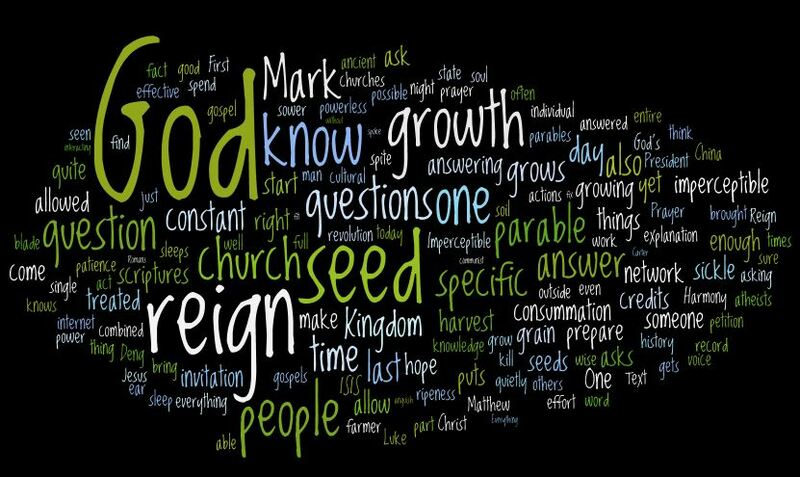 The mustard seed describes the way churches always surprise. They are not what you’d expect when you look at what is planted. But the seed silently growing talks about the experience of being a seed planted I think. 1) The seed is helpless in its growth. We individuals or the church depend completely upon God for growth. We can’t force it. We might hinder, but have not power to make grow. 2) Never-the-less the kingdom of God grows: often imperceptibly, constantly at the will of God, and inevitably. It takes constant effort to kill organic growth. 3) The reign of God includes a harvest. This sermon ponders those three elements of the parable. I included on the record two interesting hymns with organic growth metaphors. The first is a modern hymn, LSB 654, Your Kingdom O God is My Glorious Treasure. The hymn is a compilation of many of the Reign of God parables: treasure, pearl, yeast, mustard plant, field, seeds, weeds and wheat. The last hymn I included is one of the oldest the words taken from the 2nd century Didache, probably the earliest catechism. LSB 652, Father We Thank Thee. Both I thought were worthy examples of response to the Word of the parable.